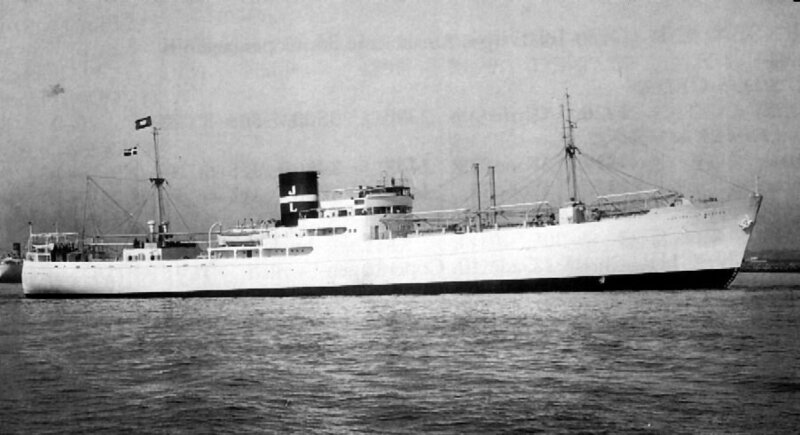 Decommissioned, 20 May 1945, at Norfolk, VA.
78k SS Australian Reefer under way, date and location unknown. 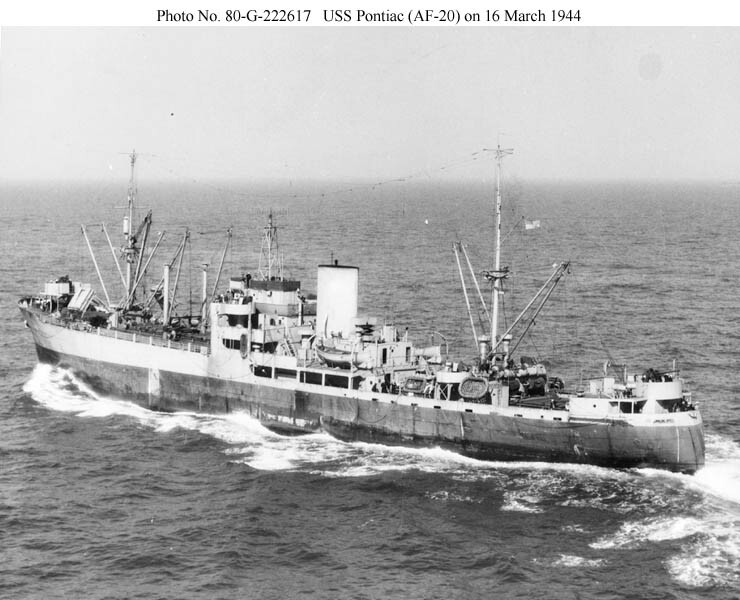 47k USS Pontiac (AF-20) under way, 9 June 1942, location unknown. 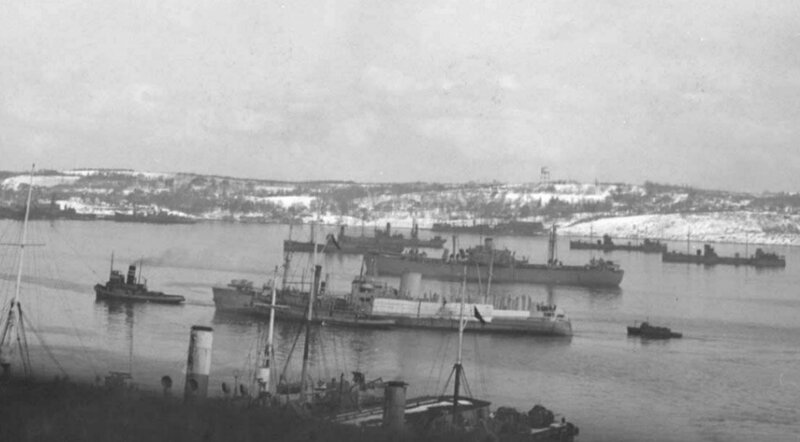 She is painted in camouflage scheme 12(modified). 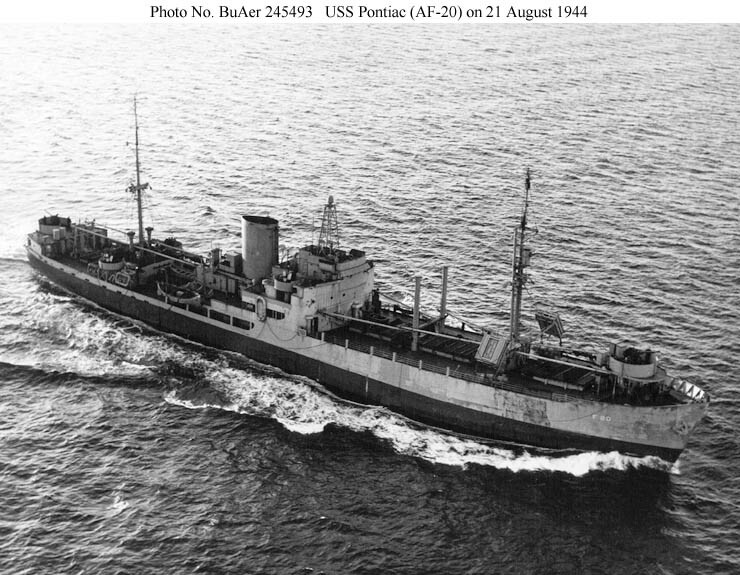 87k USS Pontiac (AF-20) under way off Norfolk, VA., 16 March 1944, photographed by a blimp from NAS Weeksville, N. C.
125k USS Pontiac (AF-20) under way off Boston, MA., 21 August 1944, photographed by a blimp from NAS South Weymouth, MA. 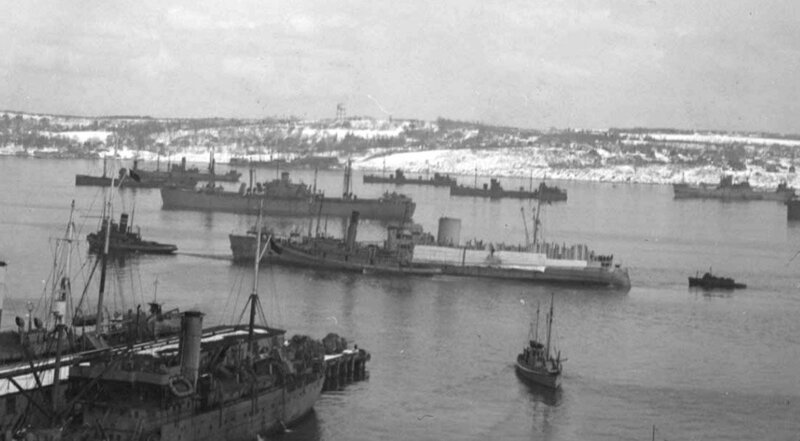 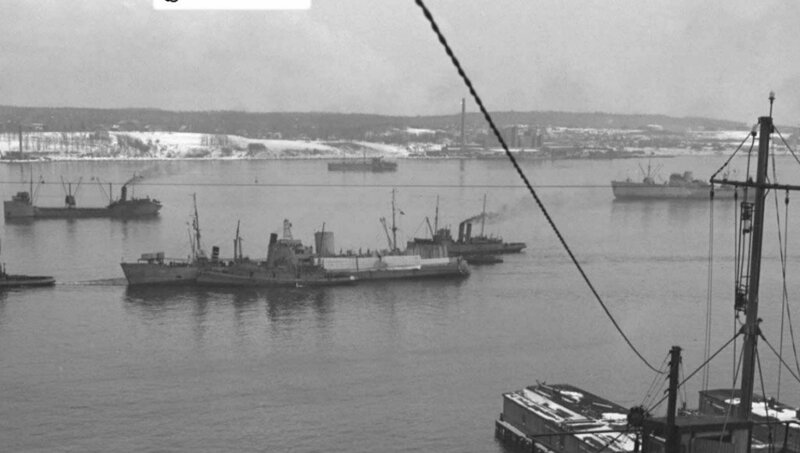 87k USS Pontiac (AF-20) being guided by tugs in Halifax harbor, Nova Scotia just after 17 February 1945.